This comes out very light than regular daal makhni! Now in a pressure cooker add the daal with good amount of water & a pinch of hing. Put it on high flame, Close the lid & add the weight, after the first whistle shut the heat. After a few mins when the pressure drops, open the cooker lid & drain the hing water out, you may leave a little bit of water in if you wish. Add some fresh water & put it back on the flame, add some ginger garlic paste (I add a good amount), then add some cooking oil, a pinch of haldi, dhania pdr, red chilli pdr, garam masala, a moti elaichi (it gives it a nice roasted flavor), mix well then add some tomato puree, salt. Put the lid on with the pressure & let it cook on full till the first whistle & then after the first whistle cook it on med-low flame. 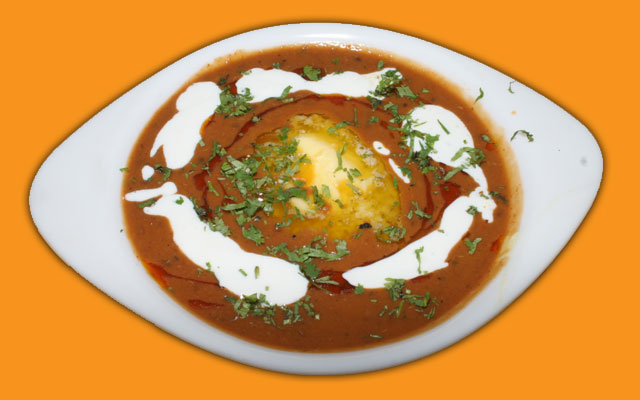 In about 35-45 minutes your Daal Makhni is ready to be enjoyed. You may add a little butter & cream just before you serve the daal [I only add it when we have guests over] Garnish w/ dhania & ENJOY! Why you have not mention the quantity of ingredients? @ ninu- So that all the gassy water comes out & the daal comes out much lighter & easier to digest. why to drain hing water and then again pressure cook the dal ?????????? ?